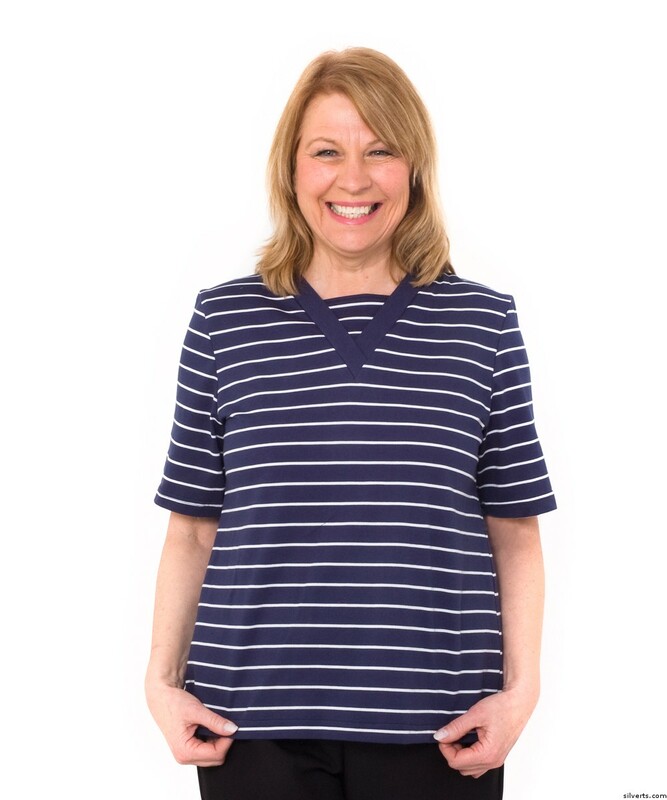 "The Joy of Stripes and the cool comfort of cotton-polyester interlock make this V-Neck T shirt with fooler insert top-notch. Full back overlap with snaps at shoulders. Quality machine washable cotton-polyester. 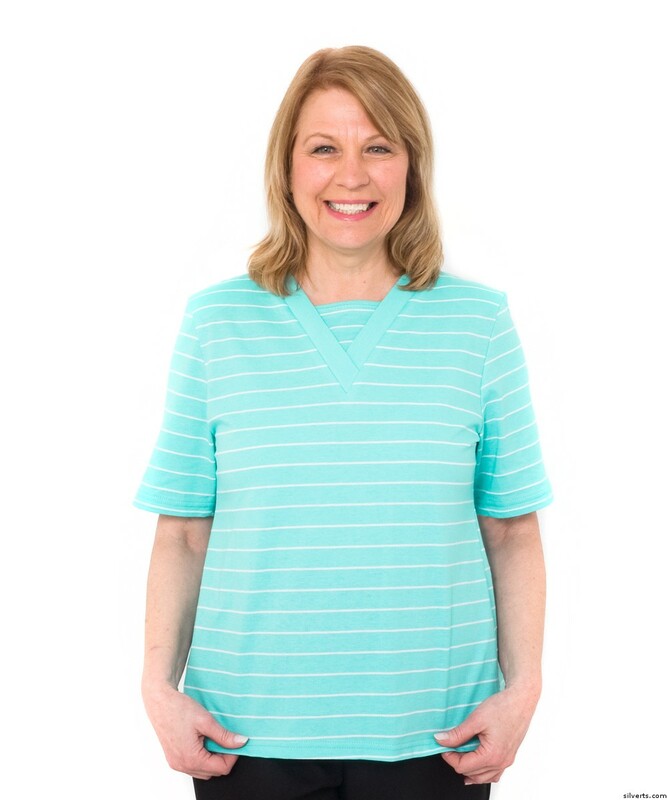 This womens adaptive tee shirt completely opens up, allowing the individuals arms to be slid into the garment sleeves without ever having to raise/lower their arms or struggle with small neck openings. The back overlap is then folded over and domed/snapped into place. The snap domes are placed on the shoulders to avoid pressure points. 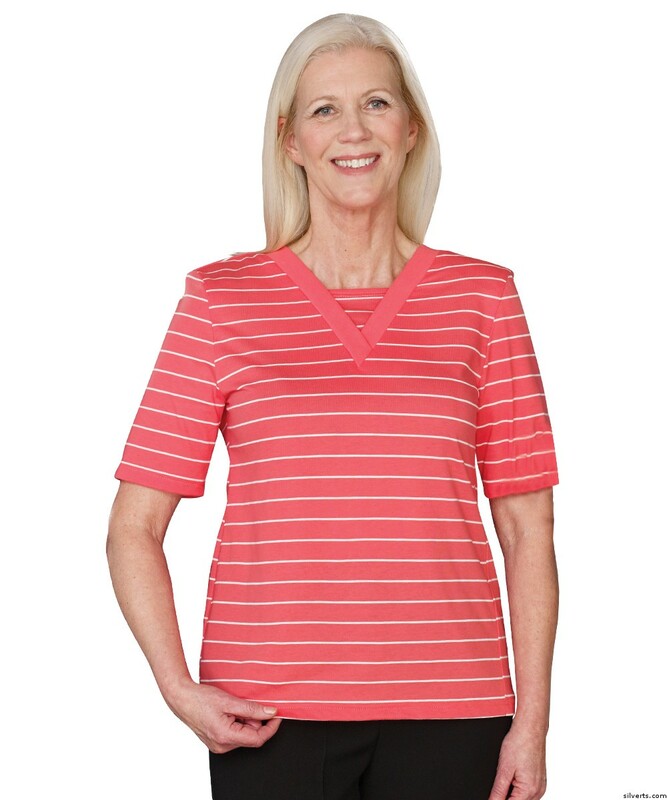 This womens adaptive t-shirt is terrific for home care and disabled adults.Adaptive T Shirt Sizing:S (4-10) M (12-16) L (18-20) XL (20 1/2-24 1/2) 2XL (26 1/2) 3XL (28 1/2) "